CA:Alex Seitz-Wald sums up Republican John Cox’s second-place finish in the gubernatorial primary. It was a stunning defeat for Antonio Villaraigosa, who had benefitted from millions in spending from charter school backers. If current totals hold, it looks like Democrats won’t be shut out of the most worrisome top-two contests in the House. It’s not clear yet who Dianne Feinstein will face. Voters have also recalled a California judge who sentenced Brock Turner. And more than 118,000 voters were accidentally left off the rolls in Los Angeles County. One of us(!) looked at the ad spending in the marquee races in California. AL: Kay Ivey cruised to victory and will face Democrat Walt Maddox in November. Martha Roby has been forced into a runoff in her primary, paying the price for her past criticism of Donald Trump. AL.com’s John Archibald notes that the downballot races in Alabama included more rebukes of Roy Moore. IA: Fred Hubbell clinched the Democratic nomination for governor, setting up a big November clash against Gov. Kim Reynolds. Democratic women prevailed in two must-watch races in the fall: Cindy Axne and Abby Finkenauer. MT: It’ll be Matt Rosendale versus Jon Tester in the fall. And it’s a very close race between Democrats Kathleen Williams and John Heenan to take on Greg Gianforte. There will be a contentious runoff in the GOP race to replace Gregg Harper. 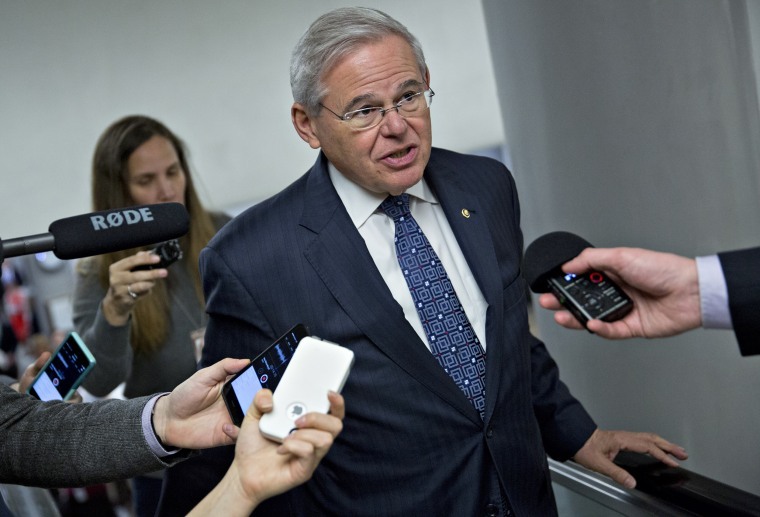 NJ: It wasn’t exactly an impressive showing from Bob Menendez in his primary last night, as the scandal-plagued senator got just 62 percent of the vote against a relatively anonymous challenger. Democratic Party favorites for the House beat back insurgents, with big wins for Jeff Van Drew and Mikie Sherrill. NM: Another good result for Democratic women: U.S. Rep. Michelle Lujan Grisham overwhelmingly won her gubernatorial primary to take on Steve Pearce. SD: After all that: Kristi Noem romped to victory over Marty Jackley even after he tried to paint her as a D.C. insider. The Argus Leader points to Noem’s savvy campaigning and sophisticated GOTV operation as the reasons for her big victory. Dusty Johnson will be the GOP nominee for House in South Dakota. Kelly Sadler is out at the White House. Trump has become fixated on his ability to give pardons, writes the Washington Post. A private contractor at the White House — who was wanted on a charge of attempted first-degree murder — has been arrested. The Atlantic has a deep dive in what’s gotten Paul Manafort in trouble (again) with prosecutors. The New York Times picks apart Trump’s latest tweets on Jeff Sessions — and shows why they are so revealing. POLITICO has a tick-tock of Trump’s snub of the Philadelphia Eagles. Advocates worry that a new U.S. rule could make it harder for immigrant children to be reunited with their families.